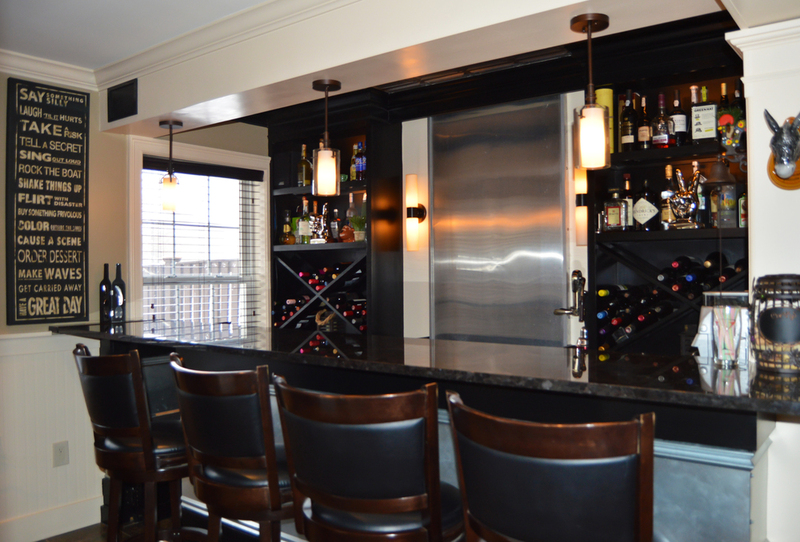 This transitional bar is ideal for entertaining. Its industrial facade and brown antique granite countertops add a modern chic feel. The timeless black cabinetry stores wine and incorporates a stainless-back waterfall adding dimension to the experience. 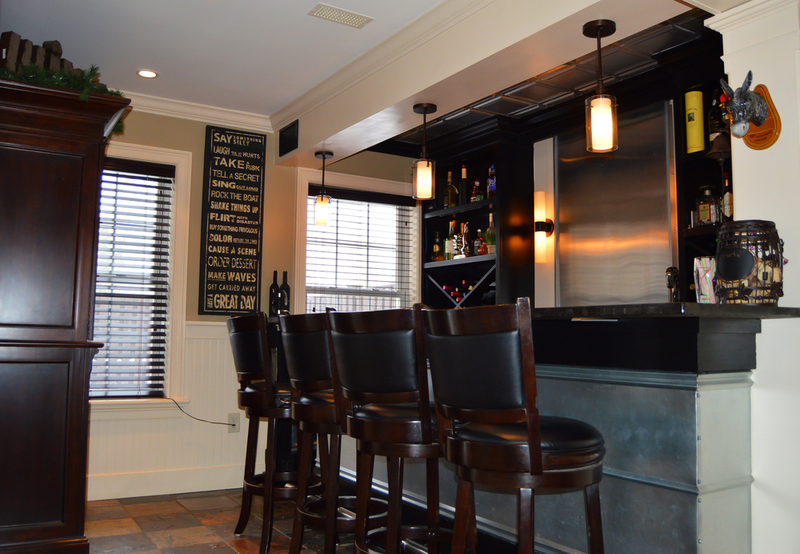 The wine bar has ample natural light provided by the adjacent French doors and is an open layout with the media room.